M. Elizabeth Magill, who currently serves as the Richard E. Lang Professor of Law and dean of Stanford Law School, will be the next provost at the University of Virginia. She will assume her new role in the summer of 2019. 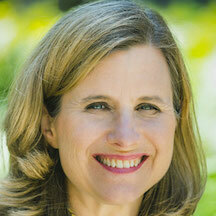 Professor Magill has led Stanford Law School for the past six years. Earlier, she spent 15 years on the faculty of the University of Virginia School of Law. She is an expert on administrative law and constitutional structure. A graduate of Yale University with a bachelor’s degree in history, Magill worked as a legislative assistant for U.S. Senator Kent Conrad, who represented the state of North Dakota. She then enrolled at the University of Virginia School of Law where she was the articles development editor for the Virginia Law Review. After graduating from law school, Magill clerked for Judge J. Harvey Wilkinson III of the Fourth Circuit Court of Appeals and later for Justice Ruth Bader Ginsburg at the U.S. Supreme Court.